Missing Digits was formed by guys from Glaslough, Co. Monaghan in the early 1980’s. They gigged in venues around Monaghan, Armagh, Tyrone in the early to mid-80s. However, the primary venue was McKenna’s Bar on Dublin St. in Monaghan which was the centre of a good rock and blues scene at that time. The band played Dundalk Regional Tech as it was then called and had one gig in the Baggot Inn. Vincent McQuaid was replaced on drums by Brian Treanor and Sean Nicholl replaced John Gilsenan on bass towards the end of the 1980’s. Paddy Lennon also left the band at this time and John and Patrick set up a new band, Voodoo. The Missing Digits continued as a four piece throughout the remainder of the 1980’s and gigged in Belfast and other venues in the North as well as the local circuit. 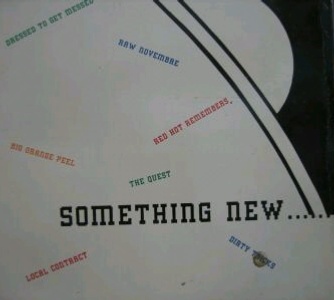 The track "No More" on the Something New Something Blue sampler LP came from a self-released cassette EP titled Anchor Bar Blues, released circa 1990. It was recorded at Tommy Flack’s Attic Studios, the Mecca for all Monaghan rock bands at that time. The band split soon after and then played a reunion gig at Murphy's Bar in Monaghan on December 26, 1991.